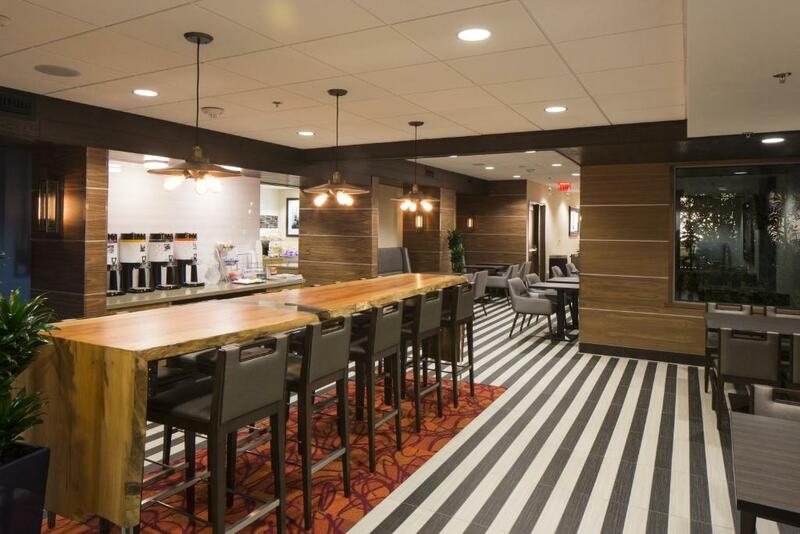 Freebies like daily breakfasts and Wi-Fi are some of the amenities at the non-smoking Hampton Inn San Francisco Downtown/Convention Center which is a short walk from public transportation. 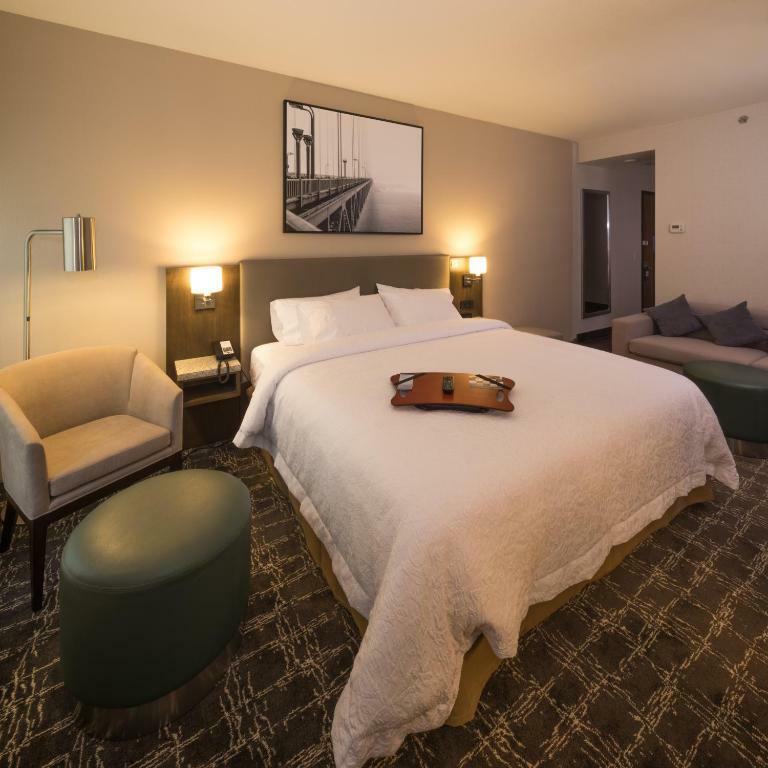 The non-smoking Hampton Inn has six floors with 174 contemporary rooms. 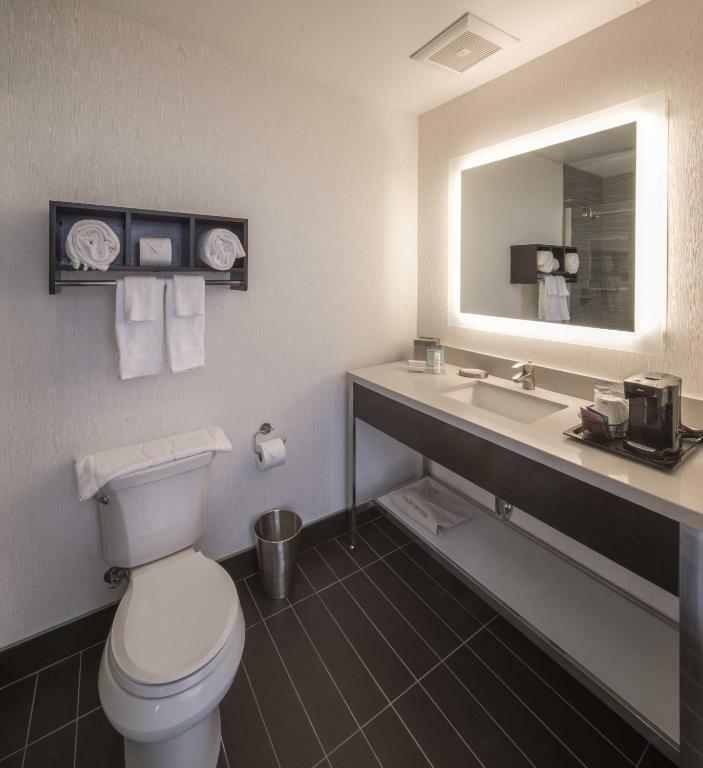 Guests feel at home in sleek rooms outfitted with free Wi-Fi flat-panel TVs mini-fridges and coffeemakers. 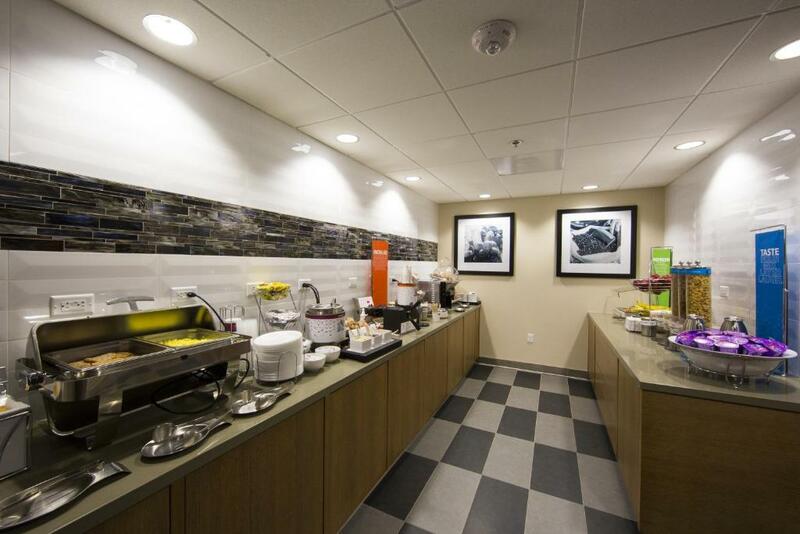 Fuel up at the free breakfast buffet before getting busy in the fitness room and for corporate guests check with the 24-hour front desk for copy and fax services. 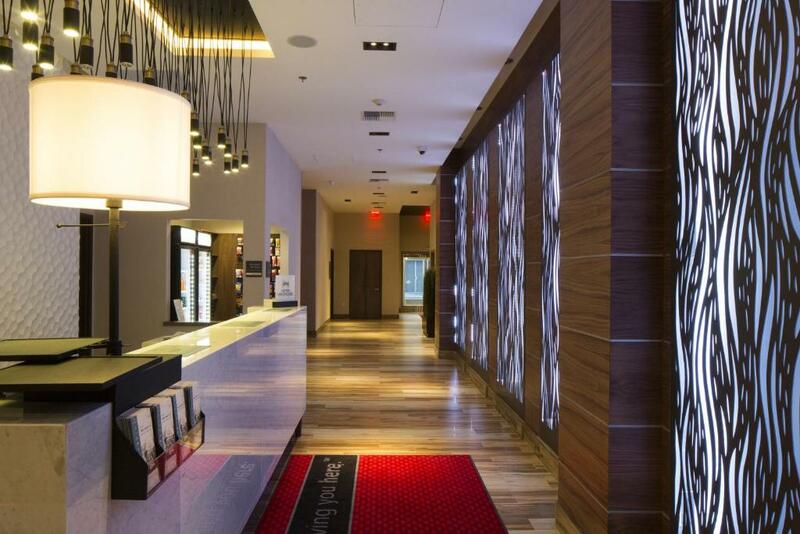 A guest laundry a small market and valet parking are additional perks. 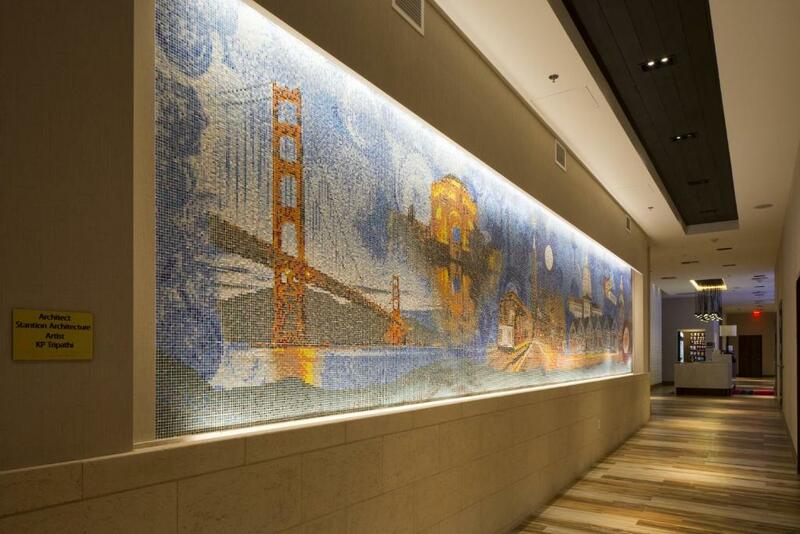 In central San Francisco the Hampton Inn is a 10-minute walk from Union Square and a half-mile from I-80. Guests stroll two blocks to find bargains at the Westfield San Francisco Centre and there are plenty of dining options in the surrounding blocks as well as the Moscone Center. Popular sights include Golden Gate Park Fisherman's Wharf and curvy Lombard Street each less than three miles away. Don't miss the city's many cultural stops within five miles such as the Cable Car Museum Palace of Fine Arts or California Academy of Sciences. Venues less than two miles away include AT&T Park and the San Francisco Opera. Within three blocks guests can hop on a bus train or tram and San Francisco International Airport is 14 miles south. 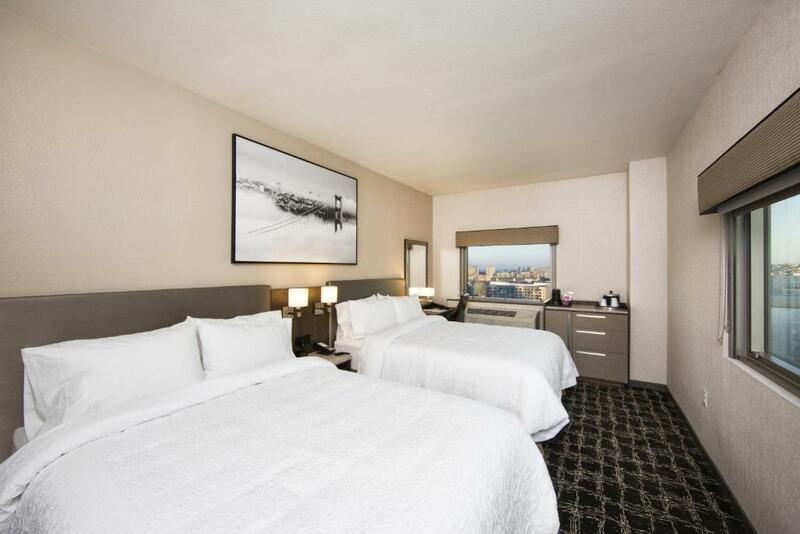 our guests say the Hampton Inn is in a convenient spot for attending events at the Moscone Center and make note of the satisfying breakfast and friendly service.